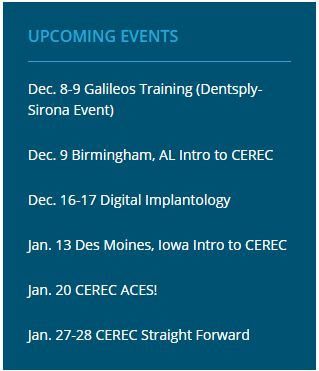 CEREC has one of the most impressive networks in all of dentistry. When it comes to training there is no other CAD/CAM solution that can offer the array of training options. There are training facilities located throughout the US including one right here in boston at the Patterson Branch. Once you become a Cerec you will attend a local 2 day basic training right here in the Boston area. After that you will get a full day of training by a local Cerec mentor on live patients in your office. You will then get a $500 voucher to put towards your choise of advanced training, scroll down the page for a list of local courses and other options from top notch clinicians! There are also several Cerec trainers that can come to your office to help you take it to the next level by providing customized training for you or your associate. 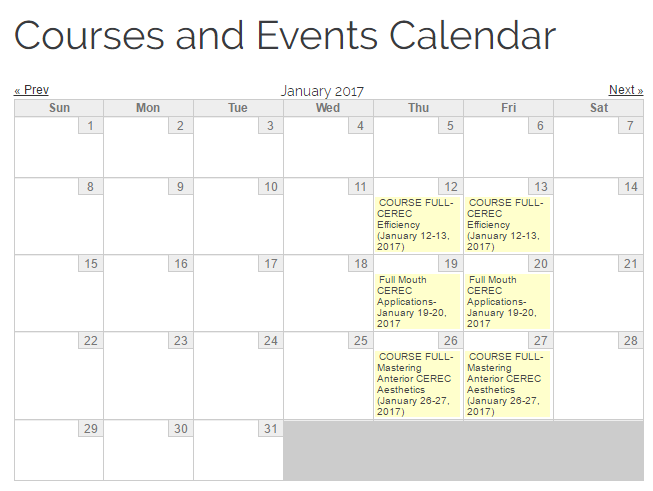 You also receive a 1 year membership to cerecdoctors.com. ​For any additional resources please reach out to me. Dr Ehlich is a dynamic educator on digital dentistry. His webiste offers video education, courses and a magazine based on the education around digital dentistry, Cerec and 3D Cone Beam integration. Dr. Klim’s cadstar.tv CEREC online training offers over 400 video tutorials, there is a complete learning package divided into several channels covering a complete range of topics for mastering CAD/CAM dentistry.